White City is characterized as among the 10 percent most disadvantaged areas in the UK, with an unemployment rate twice the London average. 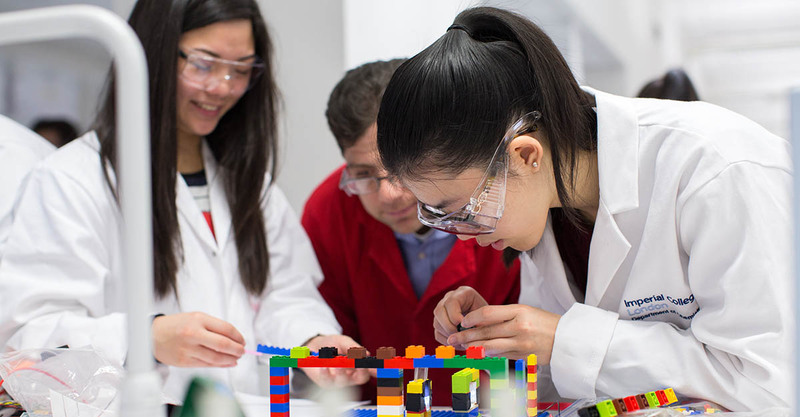 As part of its commitment to the regeneration of the local area, Imperial’s community engagement team, led by Dr. Maggie Dallman, Associate Provost of Academic Partnerships and Professor of Immunology, is looking to excite the creativity and wonder of local young people by creating a unique space called “The Invention Rooms” for community-driven innovation. In 2016, the Elsevier Foundation partnered with Imperial College to provide $300,000 over three years to support the Reach Out Makerspace. It will be equipped with 3D printers, scanners, computer-aided design, development boards and laser cutters for making, coding and digital fabrication. Ultimately, the goal is to help local young people feel more connected to their peers, engage in creative and constructive after-school activities and realize their potential in a dynamic and nurturing environment. The maker challenge grant to Imperial College is part of a larger Elsevier Foundation program called Diversity and Inclusion in STM, which includes several partnerships to help underserved children. In Amsterdam, the IMC Weekend School offers 10 – to 13-year-olds from Amsterdam’s disadvantaged urban communities the chance to learn about the world of science, health and journalism hands-on professionals. In New York, the city’s most underserved youth can attend the Afterschool STEM Mentoring Program of the New York Academy of Sciences, which is expanding with funding from the Elsevier Foundation.